Online: Group registration is possible online by using scratch cards as payment mode. Each member of the group will have to register individually on http://adhm.procamrunning.in using the scratch card. Scratch cards need to be purchased in bulk from our Registration office. Please call our helpline number +919650033333 (1000 Hrs to 1900 Hrs, Monday to Saturday) or email at adhm@procam.in to purchase scratch cards. Physical forms: Deposit application forms along with requisite application fees and covering letter at our Registration office. Please call our helpline number +919650033333 (1000 Hrs to 1900 Hrs, Monday to Saturday) or email at adhm@procam.in for submission of forms. 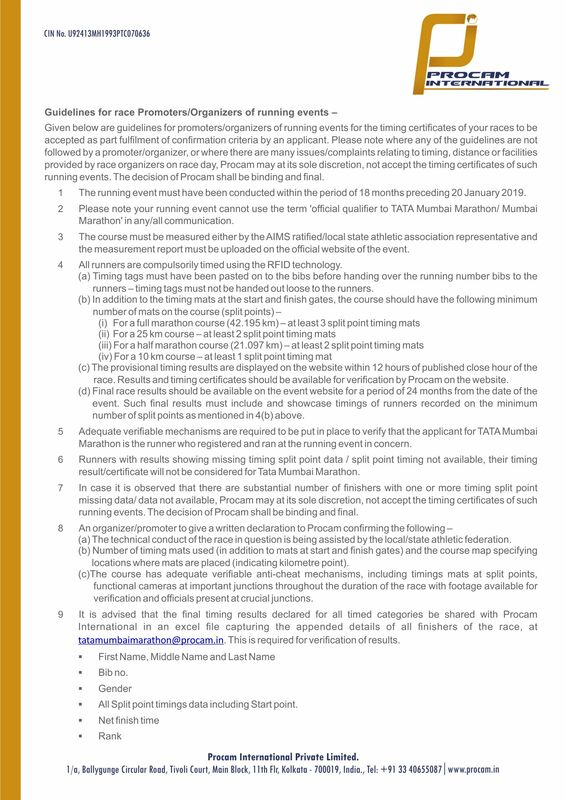 Applicable only for Great Delhi Run, Sr. Citizens’ Run and Champions With Disability race categories. Please refer to entry rules and guidelines for details. Forms will only be accepted up to Friday, 28th September 2018 or as soon as running places are filled, whichever is earlier.